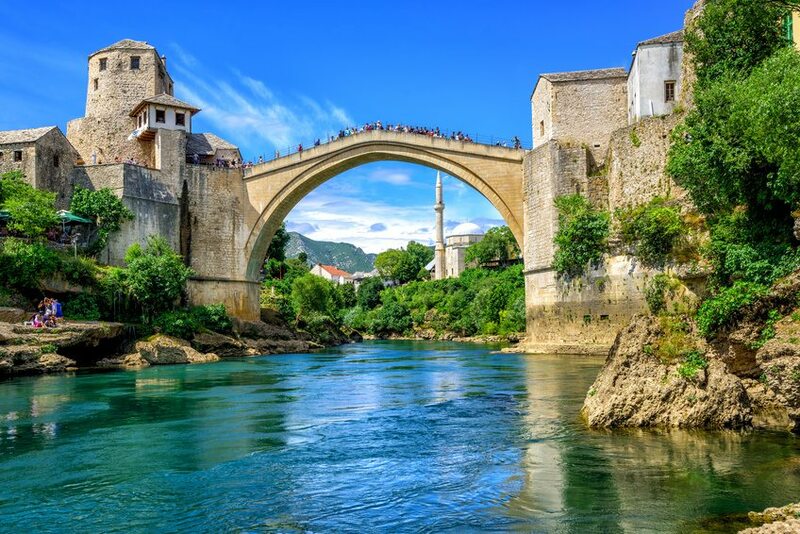 Due to Split’s proximity to the border with Bosnia and Hercegovina, it’s relatively easy to pop over to this neighbouring country for a day trip. 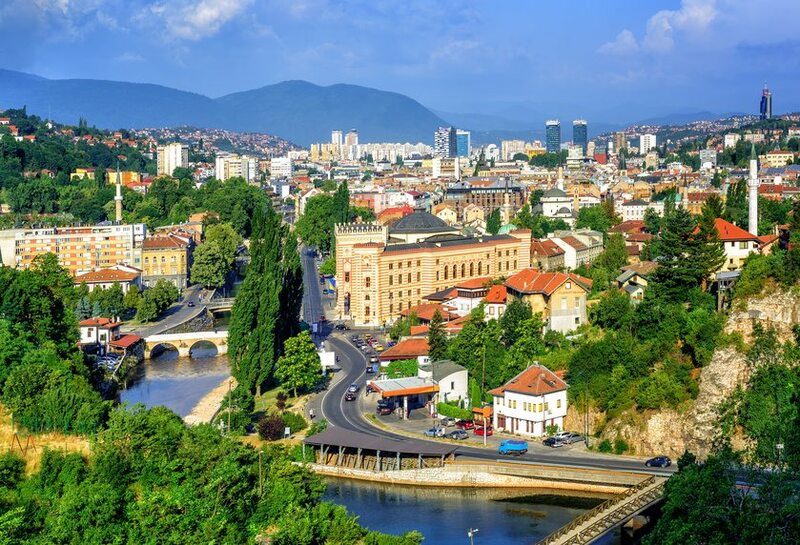 Organised trips to some destinations can also be booked, but travelling from Split to Bosnia by public transport – namely, buses – is also relatively easily done. Read on below. Mostar is probably one of the easiest places to reach in Bosnia and Hercegovina from Split, as there’s a number of daily buses travelling between the two cities. Journey time is approximately three and a half to four and a half hours, and you can see schedules on the Split Bus Terminal website. Most days there’s an early morning bus (at 6am!) that would get you into Mostar for 9.30am, giving you plenty of time to look around this wonderful town’s sights before getting a bus back in the later afternoon or evening. Mostar is perhaps best known for its bridge over the River Neretva, Stari Most (most meaning bridge). The guards of this bridge – the Mostari – gave the town its name. Unfortunately, the original bridge – completed in 1566 – was destroyed in the war in the 1990s, although it was reconstructed to its original design by 2004. There’s also a number of interesting Ottoman-era buildings and mosques, and indeed the whole Old Town is worth exploring. Once more, there are several buses a day from Split to Medjugorje. Most days there’s an early morning, 6am, bus that will get you into Medjugorje for just after 9am. That leaves you with enough time to spend a day in Medjugorje before taking a return bus back to Split in the late afternoon. Bus schedules can be found on the Split Bus Terminal website, with some routes run by the company Globtour. 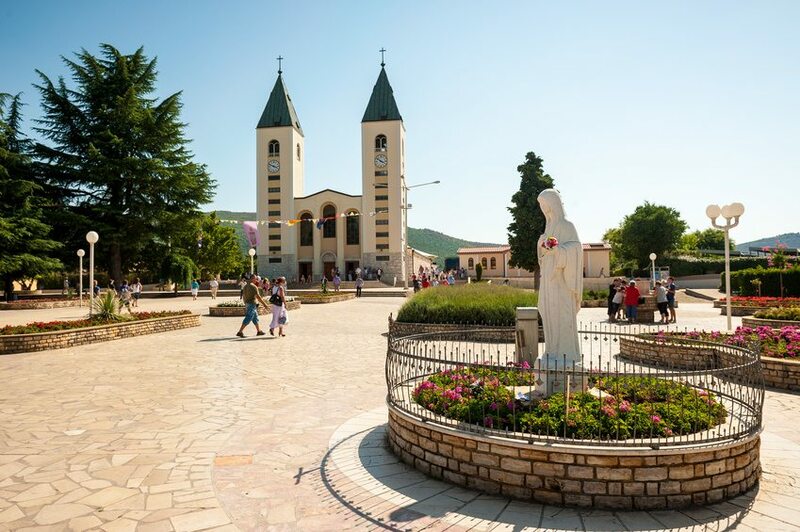 Medjugorje is generally visited as a place of pilgrimage; the town is famed for an apparent vision of the Virgin Mary as seen by six individuals since 1981. Sarajevo is that little bit too far away to visit from Split as a day trip. However, we’re sure some may still undertake this route as part of a tour of several countries in the region. Again, there’s several buses a day with a journey time of around seven hours – check schedules on the Split Bus Terminal website. The city is a fascinating mix of Western and Eastern influences and Empires through the centuries – from Roman to Ottoman, Venetian and Austro-Hungarian. Sarajevo, of course, suffered terribly during the war in the early 1990s. These days, however, it is a wonderful capital city to visit with an amazing array of architecture, buildings. These include numerous mosques, churches and synagogues, museums; there is also a detailed Old Town with a large bazaar-like area Bascarsija.